MOUNTAIN VIEWS! CITY LIGHT VIEWS! 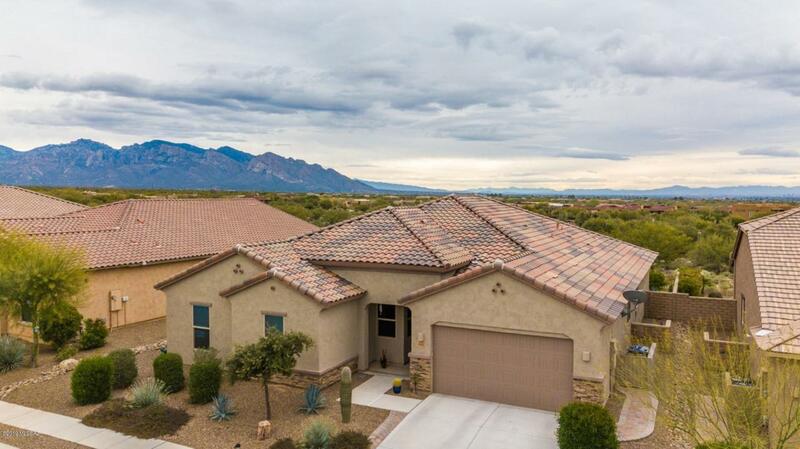 Premier Lot that backs to the natural desert. Private backyard with water feature and nice landscaping. 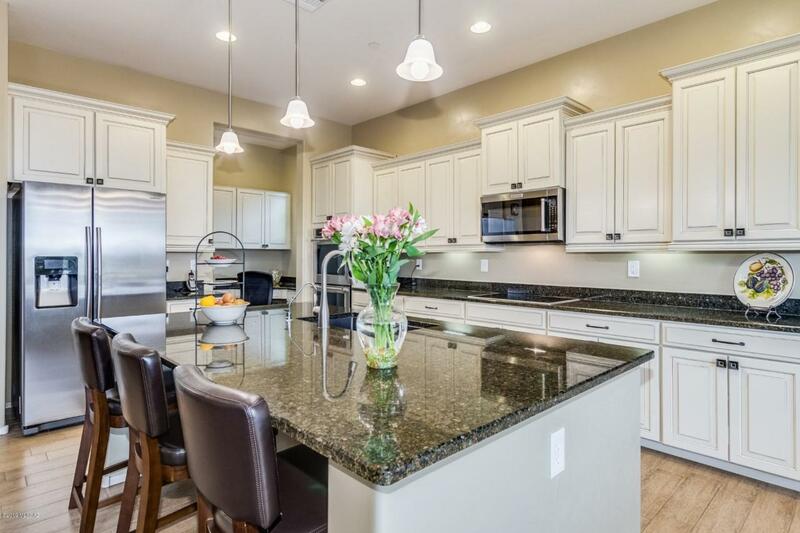 This custom home has many upgrades. 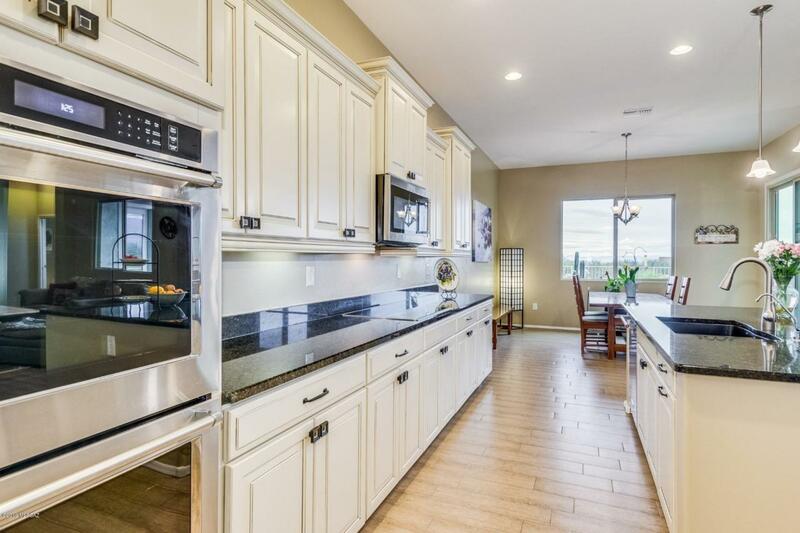 Gourmet kitchen; Granite Island and counter tops, Kitchen Aid Stainless Steel Appliances, Double Ovens with 4 Burner Convection Range top and raised panel antique white dove-tailed cabinetry. Desk office area off of kitchen with walk in pantry. High Ceilings -10' ceilings with 8' doors. 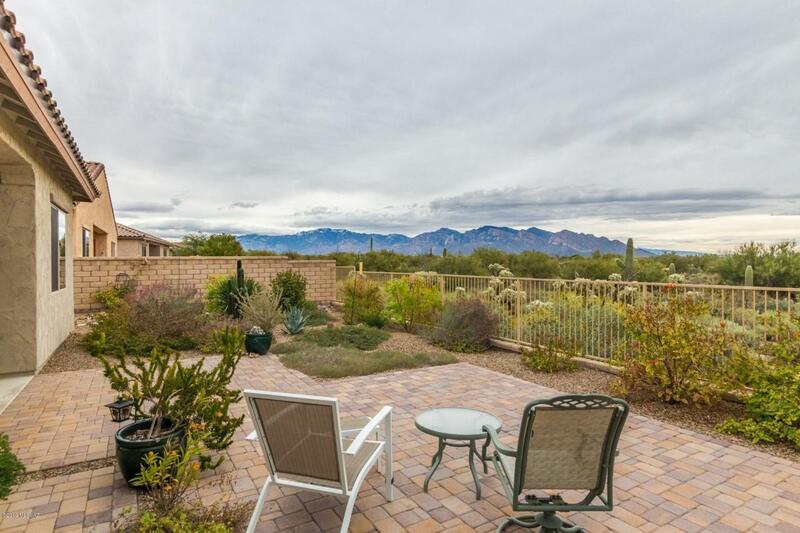 Large windows through out home with mountain views from living area and master bedroom. Luxury Master Bathroom has separate granite vanities, large shower/bath, walk in closet with custom build ins. Office/den with closet. Family/Teen area in guest wing. Must see the Virtual Tour & 3-D Floorplan under photo tab to view entire home.